Hi ♥ I have great news for those budget make up junkies! 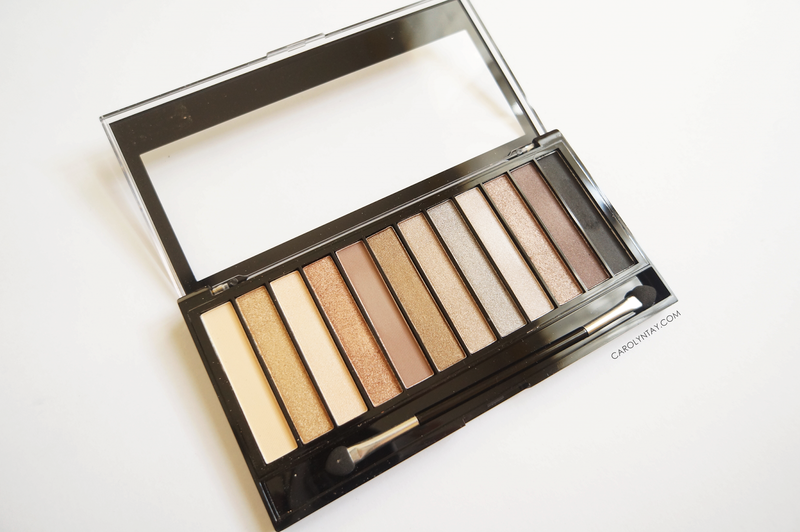 I found a great dupe for my most favourite eyeshadow palette ever! 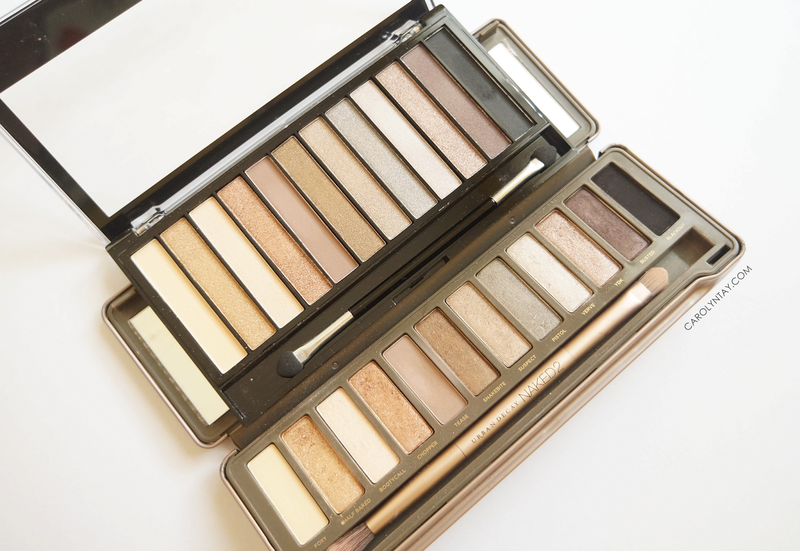 Of all the Urban Decay Naked Palettes, I preferred the Naked 2 as it has more brown and earthy tones. I bought it right away when it arrived in Malaysia and it was RM179. 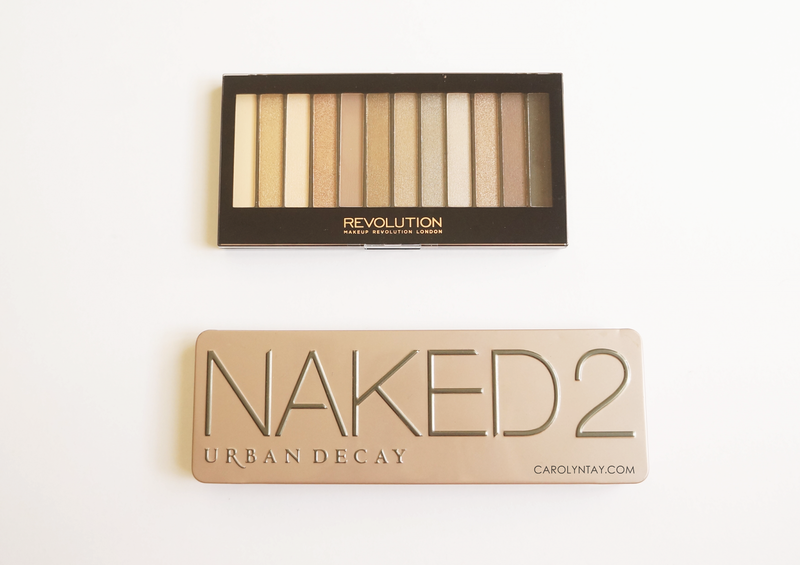 However, I can get the similar shades with the Make Up Revolution Iconic 2 Palette for only RM32. WHAT! I was so happy when I found out that Makeup Revolution is coming to Malaysia. If you didn't know, Makeup revolution is a brand from London and they are the No.1 selling brand in Superdrug stores in the UK. They have products priced as low as RM8, now can you understand my excitement? 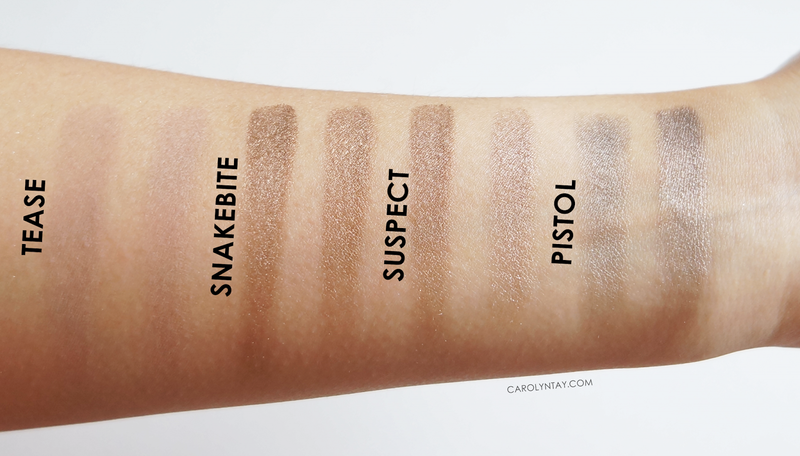 Now let's check out the swatches for the Makeup Revolution Iconic 2 Palette VS Naked 2 Palette. I am amazed that the colours are really identical to each other! Packaging: The Makeup Revolution Iconic 2 Palette comes in a simple plastic black case with a window in front. The eyeshadows are much longer than the Naked 2 Palette. I love that this is much more lighter to carry around. Brush: The Makeup Revolution Iconic 2 Palette comes with dual end sponge brush unlike the Naked 2 palette. I am not a big fan of sponge brushes but you can't expect much for a RM32 palette right? I'm going to swatch them in group of four and so you can compare each of them. Foxy: This eyeshadow cannot show up on my skin because I'm quite tan. Foxy is more opaque and cream tone while the Iconic 2 is more white and chalky. 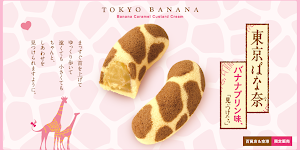 Half baked: On the first glance, both the colours looks similar. 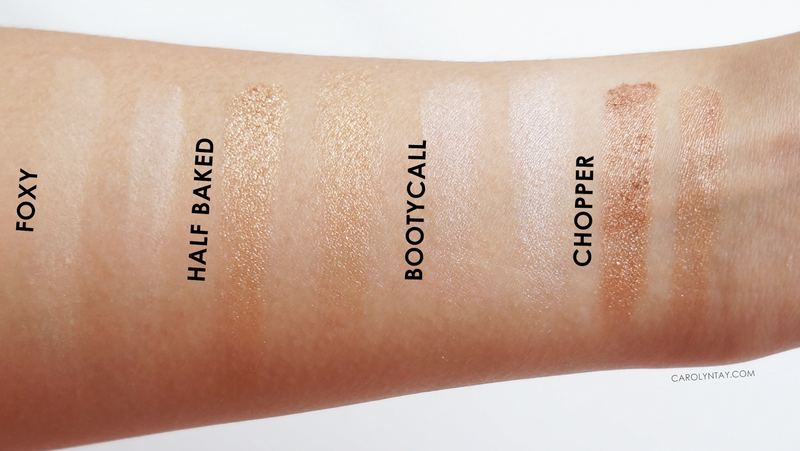 However, Half baked is definitely more opaque and copper tone while the Iconic 2 is less pigmented and goldish tone. It is quite a good dupe! Bootycall: On the first glance, both the colours looks similar as well. The Bootycall is actually more pinkish while the Iconic 2 is more cooler and white. Chopper: Chopper is more bronzey and sparkly than the one on Iconic 2. However, they look very identical if you don't look closely. Tease: Tease is a matte purple-taupe but the Iconic 2 one is much lighter and pearl-ish. Tease is much easier to built up as compared to the Iconic 2. I usually use this to contour my nose and I find that with light application, both colours are quite similar. Snakebite: Both the shades are quite similar. Snakebite is a darker brown as compared to Iconic 2 which has more bronze to it. Suspect: Suspect is more of a light metallic pinkish brown while the Iconic 2 one is more darker gold-ish brown. Pistol: Pistol is darker gray tone while the Iconic 2 one is more brownish-silver taupe. Both colours are gorgeous and different in their own ways. 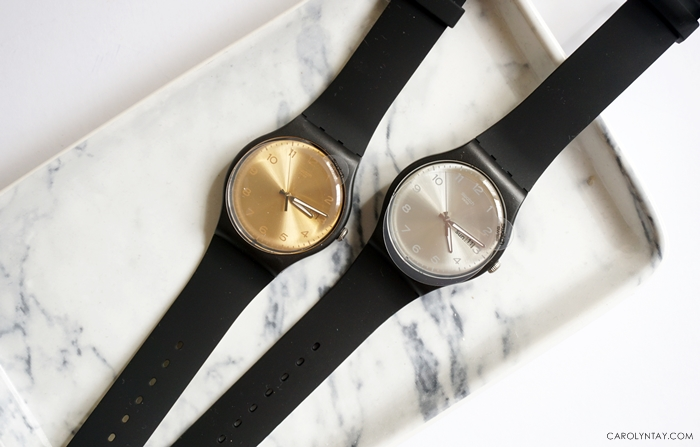 Verve: Verve is a opaque metallic silver beige and the iconic 2 is very similar but with a tint pink tone to it. YDK: YDK is definitely more brown whereas the Iconic 2 is more orangey tone. Both colours are very opaque! 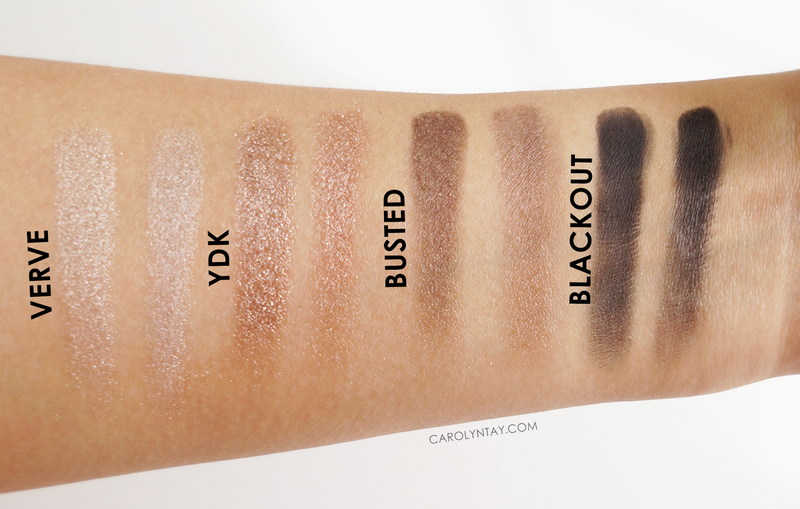 Busted: The only eyeshadow that has such an obvious difference when swatched. Busted is more dark dirt brown whereas Iconic 2 is more metallic brown. Blackout: Blackout is seriously matte black, as it's name suggests. The iconic 2 on is not as dark and I find it too chalky. In conclusion, I think the Iconic 2 palette is very affordable and is a great dupe for the Naked 2. In terms of application, both palette are quite similar in colours and the Iconic 2 is very workable as well. Even though Naked 2 is irreplaceable, I think this palette is worth the price you are paying for. I am a big Urban Decay fan and I am pretty amazed at this palette. I do recommend you getting it! I seriously think that you cannot find a worthy drugstore palette in Malaysia at this price other than Makeup Revolution.